Where the River Ness meets the Beauly Firth, the small city of Inverness is just the place for a weekend city break. The Highland Capital is at the centre of much of Scotland’s cultural and historical backdrop – it’s the perfect base for families looking for something really different to do. Famed for its elusive monster, Loch Ness has long been a popular destination for tourists. While it seems that you would have to be very lucky to catch a glimpse of Nessie herself, you can certainly enjoy a cruise on the water or a long walk along the banks. The Loch Ness Centre is just over 17 miles from Jurys Inn Inverness, it’s the perfect starting point for all your activities, there’s a cafe and exhibition centre to get you started before you head into the great outdoors. While you are here, you should make the most of your camera skills and capture the majesty of the loch itself. With or without a fantastic beast, the views across the water are truly beautiful. For a truly medieval feel, venture up to Urquhart Castle. 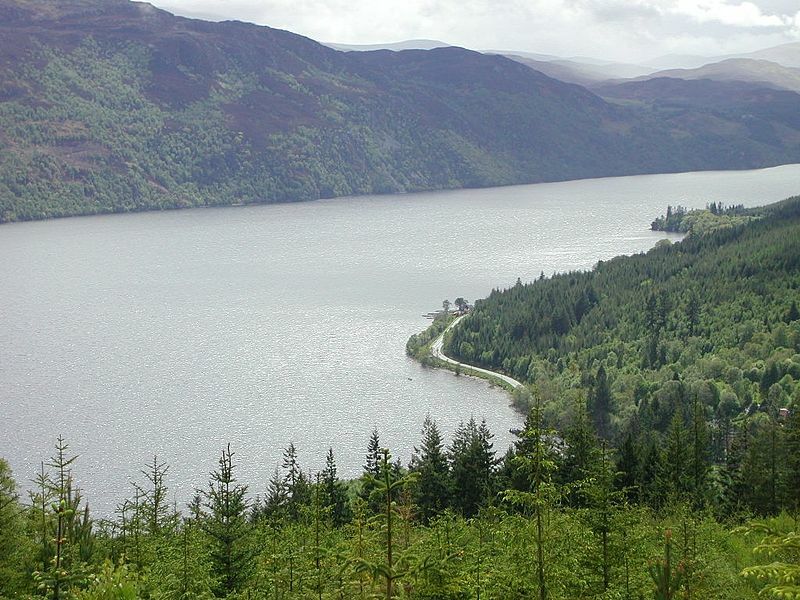 Find out more about Loch Ness here. For over 1000 years, this hillside fortress has overlooked Loch Ness from its highland hills, Urquhart Castle offers a unique look at Medieval Scotland with plenty artefacts, relics and replicas waiting with a story to tell. Walk amongst the ruins, have a nosy into an archaic prison cell or patrol the battlements and learn about the colourful history of the Scottish Highlands. One of the most exciting and impressive historic replicas found here is the full-sized, working, trebuchet siege engine, that alone is worth the visit. 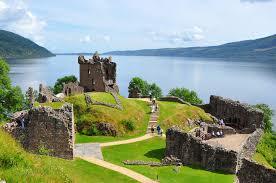 Learn more about the Historic Urquhart Castle here. 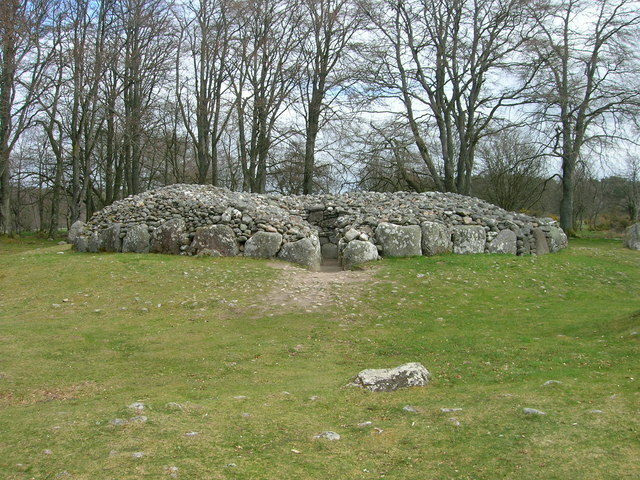 Also known as the Clava Cairns, these monuments are magnificently well-preserved burial sites from the Bronze Age. Despite being just 6 miles from Inverness, here’s a place that gives you a feel of rich history found throughout the Scottish Highlands. At Balnuaran, stone pathways form ‘rays’ radiating out from the central ring towards three standing stones and each kerb stone seems to have been chosen and placed for a specific reason. Though we may never know what the builders were thinking about when they conceived their design, it is clear that this is no accident. Why not take a visit and try to unravel the mystery? Discover the Bronze Age mysteries of Clava Cairns here. 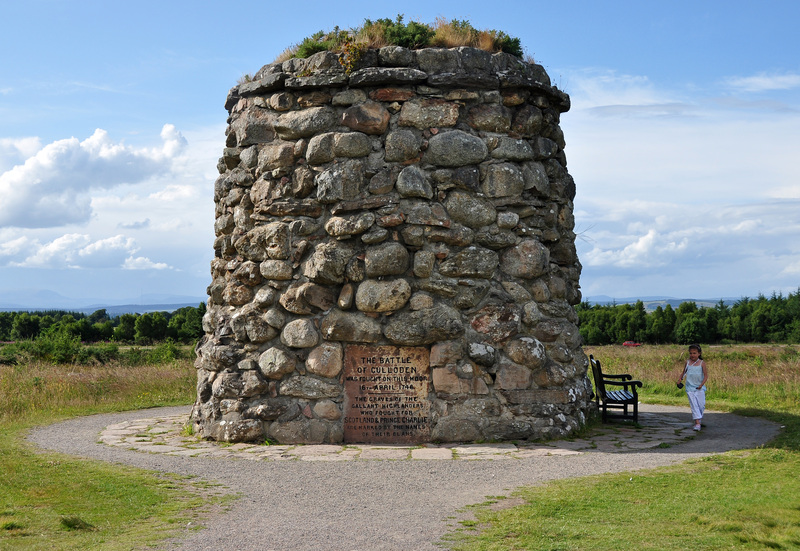 The Battle of Culloden was the last battle to be fought on British soil and took place in 1745 when Bonnie Prince Charlie attempted to overthrow King George to restore the Stuarts to the crown. Though the battle lasted only an hour, 1500 people were killed in this bloody encounter, most of them Jacobites. Looking at the landscape today, it is more difficult to imagine these men facing each other in battle but the Culloden Visitor Centre just five miles from Inverness does an incredible job of presenting the battle sensitively. Have a look at their displays, artefacts, and learn how this single hour changed the Scottish Highlands forever. Walk the fields where Scottish history was shaped, and learn more here. 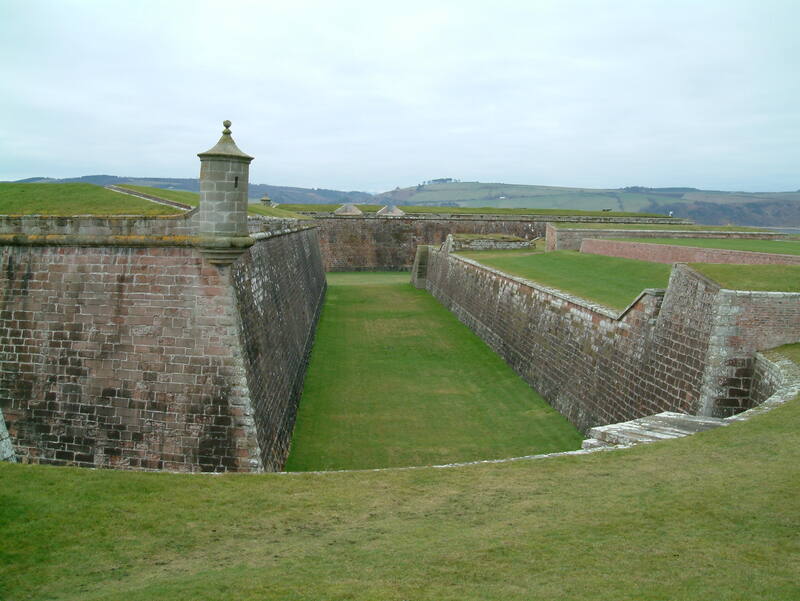 After the defeat of Bonnie Prince Charlie at the Battle of Colluden, George II wasn’t prepared to take any more chances and so he built Fort George to prevent any further attempts from the Jacobites to take his crown. Carefully located at the point where Moray Firth pours out into the North Sea, Fort George is just 20 minutes drive along the water’s edge from Inverness city centre. Start in the Highlanders Museum to get better acquainted with the history of the fort before you start exploring. Highlights certainly include the barrack rooms where there are recreations of the conditions soldiers lived in years ago; the Grand Magazine, a room which can held up to 2,672 gunpowder barrels in its day. Now it’s home to a vast collection of weapons. Once you’re done, walk around through ramparts and see if you’re lucky enough to can spot passing dolphins in the bay. Experience history along the Scottish coast, learn more here. 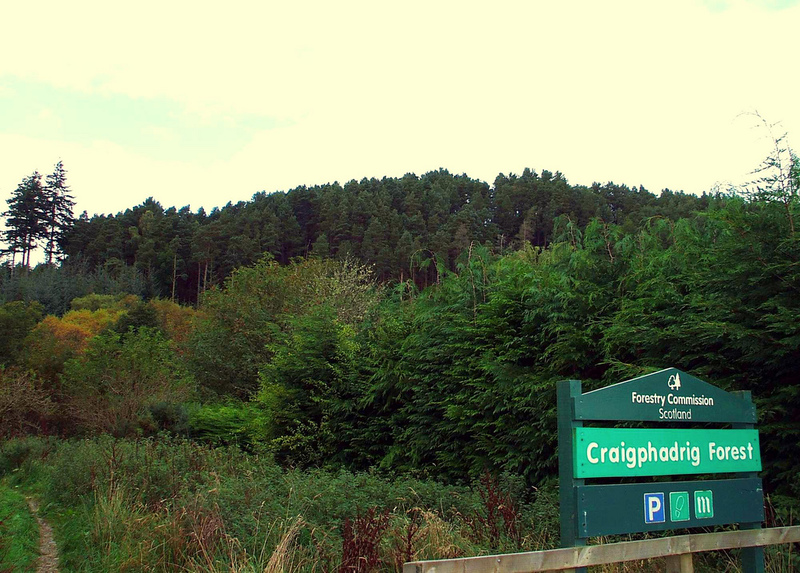 Where other forts have remained in plain sight, Craig Phadrig is hidden away in the heart of a forest. This hill fort, built around 300 BC, has plenty of history to it having been occupied by a powerful Pictish King. Located just a couple miles from Inverness city centre, pop your walking boots and take the short hike to the top where you will be rewarded with remarkable views over the Beauly Firth. Choose from the Hill Fort Trial and the Craig Phadrig trails to make the most of your afternoon outdoors. To find the secluded Craig Phadrig, find out more here. Perhaps not sightseeing in the traditional sense, but there is plenty to look at - and taste - at the Glenmorangie Distillery. 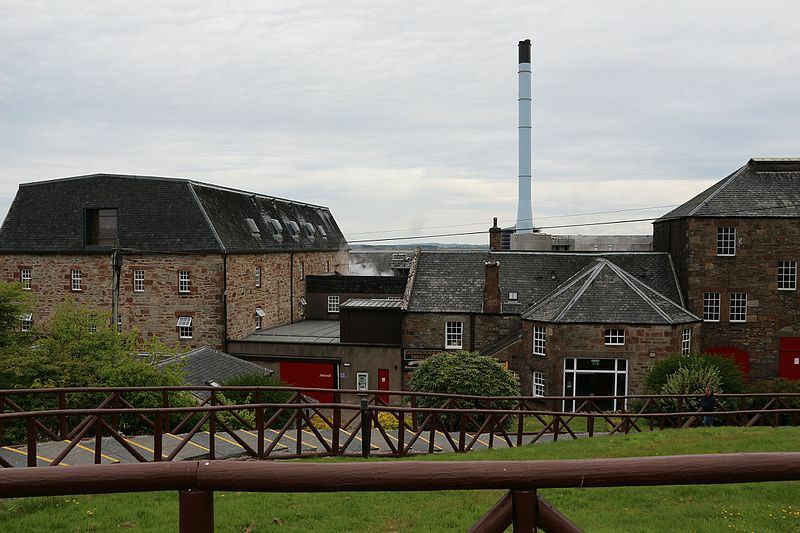 You can take the train up to Tain and then walk from the station directly to the distillery just 20 minutes away. There are several tours available but the Heritage tour includes a trip up to the Tarlogie Spring where the water is sourced and on up to the Hilton of Cadboll Stone, a Pictish hunting scene dating back to around 800AD. Of course, you will also be able to see where the whisky is made, distilled and stored in barrels for 10 years to mature. And, it wouldn’t be a tour without a taste – just to check the quality of course. If you can’t wait to start the tour, find out more here. Just 40 minutes west of Inverness, Glen Affric is the perfect place to relish the beauty of the highlands and get some real fresh air. Cannich is at the very top of the Glen and forms a great starting point for walkers. From here, it is a reasonably gentle 2 and a half hour walk to Plodda Falls with a bit of a steeper climb towards the waterfall itself. For an easier walk, you could park at the Plodda Falls carpark, just 45 minutes walk away from the falls. Dog Falls is another popular destination with walkers and it only takes around an hour and a half to get there on foot from Cannich. There is a steep section towards the fall but then it flattens out again and you can make the most of the views. 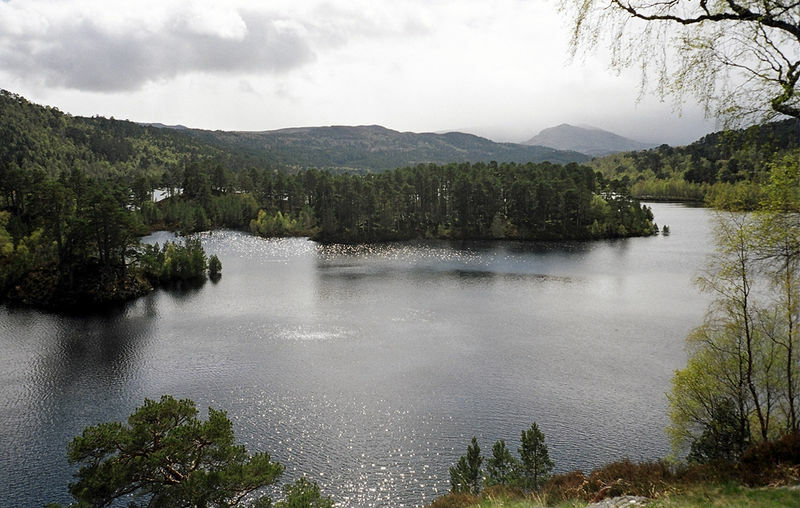 If you want to extend your walk a little further, Loch Beinn a Mheadhoin is possibly one of the most picturesque landscapes you will ever see - make sure you have a camera to hand. With so many sights to see in Inverness, now is the perfect time to go and learn the Highland Capital’s history, walk through the landscape and continue the search for the elusive monster. With such a grand estate to explore, you’ll want to know all about this 10,000-acre nature reserve. Find out more here. With so many opportunities so close to Jurys Inn Inverness, you’ll soon be wondering why you haven’t made your way to the Highlands sooner.